What is the Kobe International Sustaining Organization? We are always looking for volunteers at Tohoku, North part of Kyushu and overseas. Please chose to apply for food distribution work, agricultural support activities (non-pesticide, organic farming at Nishiku, Kobe City), or listening volunteers. Young people who go to the affected areas immediately. The Kobe International Sustaining Organization (KISO) was established on October 20, 2001 and we elected one chief secretary general and one executive director. We decided to place the main office at 1-101 Kariguchi-dai 5-chome,Tarumi, Kobe, Japan 655-0049. In April 2017, Yoshio Iwamura became the Director & Chairman, and Hirotaka Murakami was elected as the representative, and Toshihisa Honda was elected as the secretary general of the organization. In our principle, we hold regularly director meeting once a month and it still continues until now. Registered as a general incorporated association on September 13, 2011. On March 11, 2011, the Tohoku earthquake and tsunami occurred. Three days later, we started preparing volunteer activities to support the poor and victims in the affected area. We started to ask for materials and goods through mass media from 16th. On March 20, we headed to Sendai and Ishinomaki City, and the opportunity to live together with local people was born. Therefore, we decided to change the word in our organization name, from “supporting” to “sustaining”. We went out to Tohoku, where there was no relationship before, and when we shared their pain and sorrows, we could establish the “bond” like a family. Volunteer work is just like a connection of bond. Since 3.11, we visit the affected area to do volunteers almost every month. Our visit has already become more than 86 times. Started FACEBOOK from November 6, 2015. Please refer details through the schedule, volunteer recruitment and Volunteer-Do. 宮城県石巻市門脇町　2016年12月23日撮影　Current Ishinomaki City, Miyagi Prefecture. Look at the affected area. Q: What was the purpose to establish the organization? A: On October 7, 2001, as retaliation of simultaneous terrorist attacks in New York City in the United States, the US started air striking in Afghanistan under the name of “war against terror”. In the beginning, the US announced that the target of attack was limited to military objects. However, civilian’s houses and private facilities were also damaged due to the errant bomb attacks. As a result, so many lives have been lost. Many refugees were born to escape from war, and we started to collect information, operate seminars and supporting activities based on the feeling that there is something we can do. We started our small action to do “Co-existence, Share sufferings, Ku-en (connection born from sharing sufferings)” with the people who got hurt by wars and disasters. 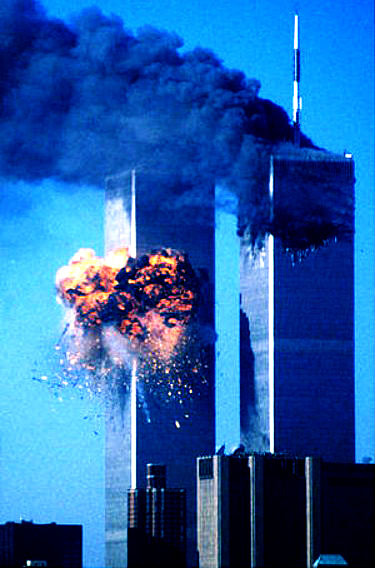 The September 11 attacks. September 11, 2001. The organization is neither a political group nor a profit group nor a professional group. We live for others, suffer together and share bowl of sorrow. Japan has declared internationally that receive refugees. There are cases that people escape from own country to Japan for seeking security, because their lives in danger due to the political and ideological position in their own country are not accepted. However, Japan’s response does not accept most of refugee applications. Immediately, people are caught and imposed in the detention center of the Ministry of Justice. Their human rights and freedom are deprived. If people are forcibly repatriated, they will be punished in their home, but Japan doesn’t think about it and act forcible repatriation. Japan refuses even refugee applicants that the UN recognizes. Japan joined the Convention Relating to the Status of Refugees on 1981. There are 23,487 refugee applications to Japan in three years. There are 65 million people who need protection in the world. One in 113 people is a refugee and it continues to increase. The number of refugees that are recognized by the Ministry of Justice in Japan is only 66 people in three years. Refugees are different from illegal immigrants and immigrants. The current three accommodation centers in Japan are terrible condition and it just like the modern Auschwitz. People who commit suicides or lost their mind are increasing. 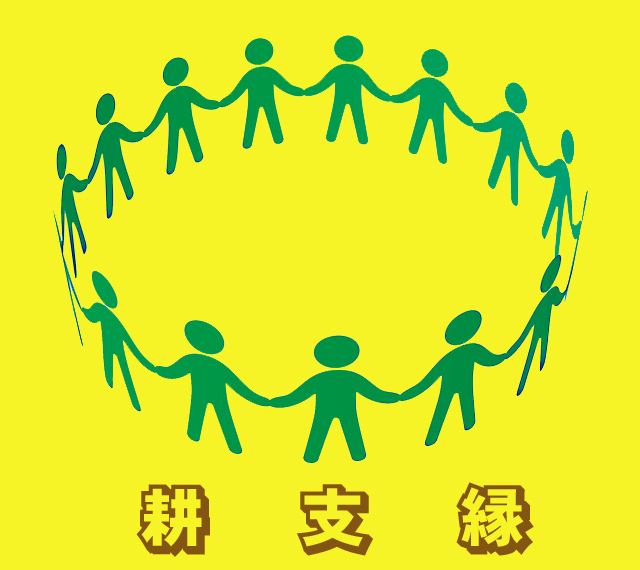 Therefore, until Japan becomes to consider escaping people from other country and give humanitarian act that should be done as human beings, we continue to participate in the Forum of Solidarity Network with Migrants Japan and seek “Multinational and multicultural coexistence society that we make”. Stop a closed-door policy for refugees! Q: What kind of events had we done before the Tohoku earthquake and tsunami? A: We established the study group to support the refugee applicant of Myanmar and also conducted the lecture of “Support for refugees from the bottom”. We held the first Iraq exhibition in Tarumizu, Kobe City. We exhibited panel of lives of Iraqi people and handmade picture books, and reported about the real situation on the ground. In 2005, we organized “The tenth years of the Earthquake. Think about the importance of lives together” by Mr. Shigeaki Hinohara, and “Think about the future of Japan” by former president of Bank of Japan, Masaru Hayami. We screened the film “Mother Teresa” at the Kobe Cultural Hall. In 2009, we invited 11 educational officials from Canada, and conducted the Kobe-Canada educational exchange program to visit schools. We have been sponsered from Hyogo Prefecture, Hyogo Educational Committee, Kobe City, Kobe Educational Committee, NHK Kobe Branch, Asahi Shimbun, Mainichi Shimbun, Yomiuri Shimbun, Sankei Shimbun, Kobe Shimbun, Sun TV, Radio Kansai and Japan Bible Society and others until 2011. Q: What kind of activities are we doing every month? 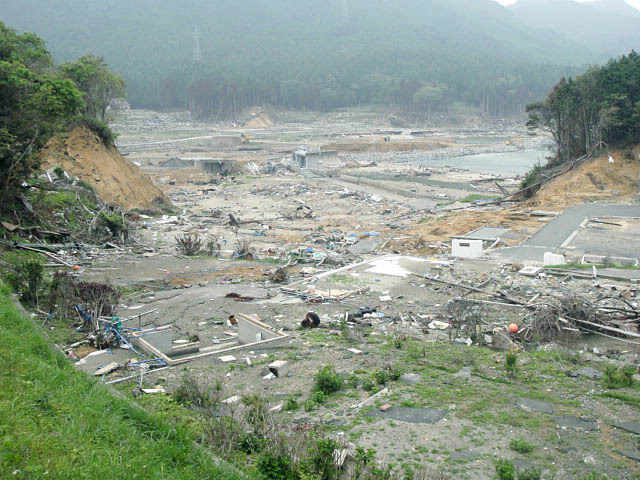 A: The Tohoku earthquake and tsunami occurred at 2:46 pm on March 11, 2011. Three days later, we started to prepare volunteer work. Through coexistence with people of Watanoha, Ishinomaki City, Miyagi Prefecture, the Kobe International Sustaining Organization (former name was the Kobe International Supporting Organization) was established in September 2011. We changed the word “supporting” to “sustaining”. For the recovery of natural ecology that was forgotten because of pursing greedy wealth, we continue volunteering for agriculture, forestry, fishery, roadside improvement and listening people continuously every month. We visit not only Miyagi Prefecture, but also Fukushima Prefecture, Iwate Prefecture, flood damage in Tanba, flood damage in Kinugawa River, Kumamoto-Oita earthquake and heavy rain at north part of Kyushu, Western Japan Flood. 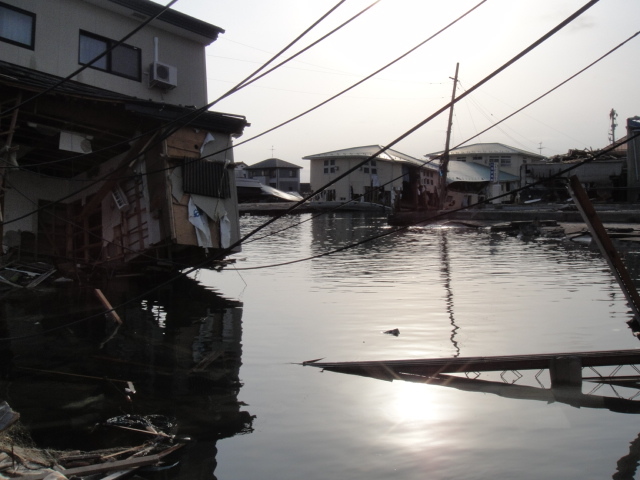 We also go for overseas natural disaster affected areas such as China, Philippines, Vanuatu, Nepal, Vietnam, and Syria, for their restoration, reconstruction and resurrection. We are constructing facilities for orphans. Foster parents in Japan will support the education expenses 3,000 yen a month until the orphan becomes an adult through “Kayoko Fund”. Young volunteers, who participated in Tohoku, serve for victims and children who lost their parents, homes and friends. We also work hard for the cycle of natural ecology that of “Resurrection of Rice Field, Mountain, and Bay”. Since the summer of 3.11, we do agriculture, forestry and fishery volunteers every month, and from June of following year, we operate the listening volunteer at Watanoha, Ishinomaki City for rebuilding town. The organization is also working, as a member of the Hyogo Youth Services Administration (Youth group council affiliated organization), for youth generation who are responsible for future of Japan to have experience in activities. During the visit of the 1st Vanuatu, the 1st Nepal and the 1st Vietnam in 2015, our administrative director of the organization went to do relief activities for children with the letters of Mr. Toshizo Ido, Governor of Hyogo Prefecture and Hisamoto Kizo, Mayor of Kobe City. Q: What do we do in Japan? A: Since April 2014, our Tohoku volunteer participants started every week food distribution at Kobe City Higashi Amusement Park (next to the city hall). We live together with people who lost their families, works and homes by the Great Hanshin-Awaji Earthquake. We help “people live on the street (in English ‘Bag people’, from the figure that people walking with carrying their personal belongings in paper bags) to make living and finding work. We seek to eat food that we cultivate ourselves “自産自消 (cultivate by yourself and eat by yourself)” together, while cultivating and growing organic, non-pesticide corps on the farm ground at Tomokiyo Nishi-ku Kobe City, which the organization contracts it as the place for people to work. On April 23, 2012, we conducted a lecture by Hiroshi Kameyama, Mayor of Ishinomaki City, Miyagi Prefecture, at the Kobe Cultural Hall. 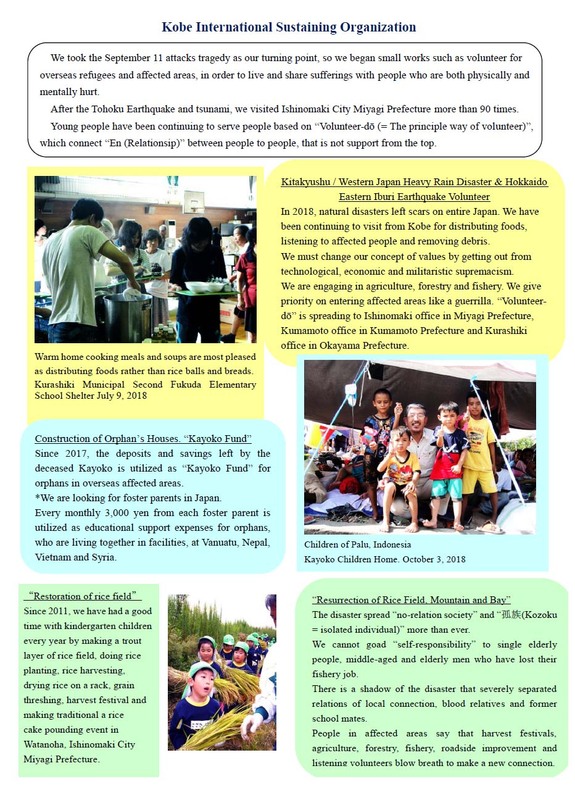 On September 16, 2015, two university students, who participated in the 2nd Nepal Volunteer, reported about their experience at the Hyogo Prefectural Hall. Q: Do we have a regular monthly gathering? A: We conduct the seminar by Tetsuro Honda (10 am on the third Friday of every month) as a lecture to cooperate with Kamagasaki where has the poorest workers in Japan. At the Kobe Shimbun Hall, we continue the course of “think about the ‘death’” since April 2011. Also, we study about non-pesticide and organic agricultural method at the “Let’s do agriculture, forestry and fishery (10 am on the fourth Saturday of every month)” course. We break up the agricultural methods that pursue economic benefit and efficiency of production per a field. Pesticides and chemical fertilizers destroy not only the health of the Japanese people but also the natural ecology. We rise up the “Resurrection of Rice Field, Mountain, and Bay”, and we are naturalist with local mountains and seas. According to the white paper on small and medium-sized businesses survey of the US magazine “Fortune”, the average of company life is about 5 years. We practice lectures and enlightenment so that young people can judge that farming, fishing and hunting are better for as a work. Not only Japan, we will make a secured and peaceful hometown where we can live comfortably while utilizing the rich nature, natural recourses and energy of the Earth. Q: How is the organization managed? A: Currently, we do not collect annual fee or any other else. As a general rule, the seminar attendance fee is 1,000 yen. This fee is spent for the venue renting fee and the gratuity for the speakers. Participation fee for “Let’s do agriculture, forestry and fishery” course is 500 yen. If we do not establish the financial foundation of the organization, transportation expenses of the Tohoku volunteers and management of the organization cannot be carried. In 2012, we received a subsidy so we were able to cover transportation expenses for Hyogo Prefectural Agricultural High School. However, after 2013, I have stopped applying for subsidy. I am trying to make effort that young people are able to go to the affected areas every month. We are supported by neighbors of our office, Tarumi Prayer Meeting, volunteer participants, enterprises, various groups, shrines and temples, churches and many supporters’ management fees. Today, transportation expenses required for volunteering are covered by management fee, and it is nearly 5 million yen per year. We cover shortage of participation fee by donations. 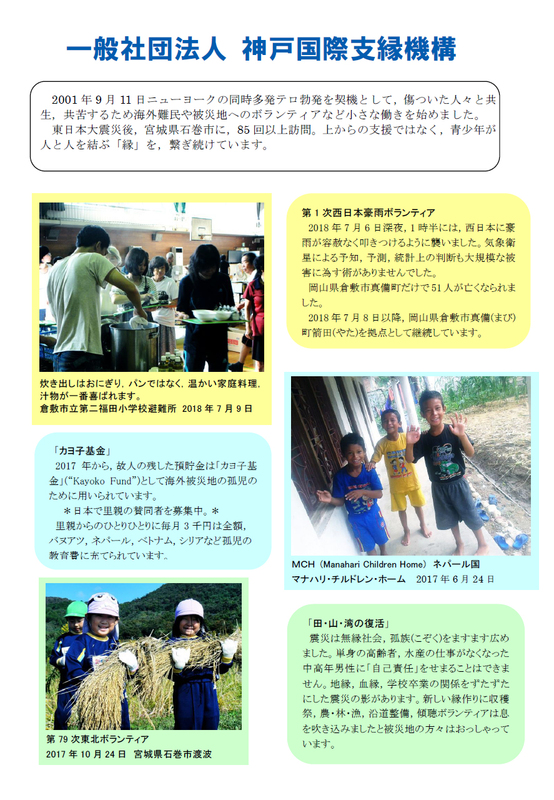 We deliver the quarterly magazine “Shien” to our supporters four times a year. We accept relief donations for natural disaster areas. “Kayoko Fund”: Every month, from your postal bank account, as foster parents, the cost of educational expenses for orphans will be withdrawal automatically until the child become adults. We do not use “Kayoko Fund” for domestic operating expenses, transportation expenses, and labor costs. 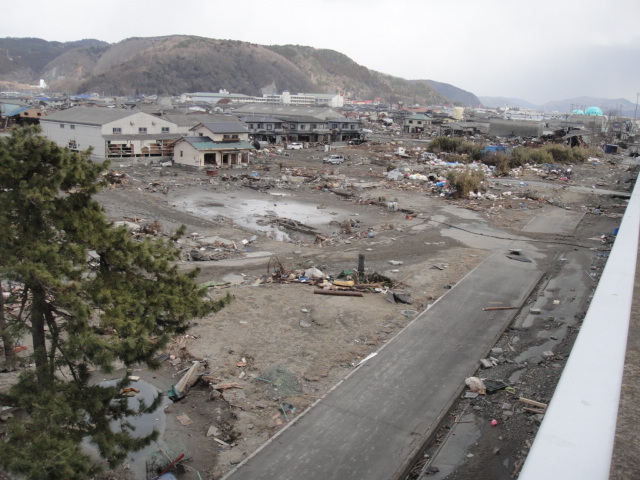 Moreover, after the Tohoku earthquake and tsunami, we accept donations for affected areas by natural disasters, such as at Asakura City in Fukuoka Prefecture, Syria, Afghanistan, Haiti, Sichuan Province in China, and Philippines. We look forward to your cooperation and guidance so that we can continue to serve for the weak not only in Japan but also in various places of the world. You can join as many times as you want. You can apply multiple times in each category. It is handed directly to the local children. In case of donations for overseas disaster areas, please specify “country name” where you wish to contribute. Please send the money directly to the office or a bank account. In case of you are transferring money through the bank account, please notify us your name and contact information by email. Q: Do the organization have any profit? A: The Kobe International Sustaining Organization is a volunteer activity. We do not conduct any business except providing lectures. We will support weak people, who cannot receive help by governments and related administrations, by giving time, man power and financial support from volunteers and generous donations. While we are doing volunteer at affected area, we support by “cultivation” to grow pesticide-free and organic corps that based on “Resurrection of Rice Field, Mountain, and Bay”. There is a plan to do cultivation at Tomokiyo Nishi-ku in Kobe City in collaboration with “people living on the street” who we meet at food distribution activities at Higashi amusement park (next to the city hall). Although members of the organizing committee receive the actual expenses, but we try to not let some limited people can get benefit. Q: Please tell me about your membership. A: If you agree with our principles, anyone can join in. 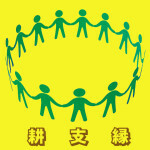 You also can freely cooperate and support us for transportation expenses for volunteers and maintaining our activities. You can engage in activities regardless your qualifications, age, nationality and religion. Q: What is the reason to use “Kobe” in our organization name?A: Because it is a work that had begun in Kobe and young people, who were born and raised in the place where experienced the Great Hanshin-Awaji Earthquake, started to go to disaster affected areas. There are also some regularly participants from Kyushu, Chugoku region, Shikoku, Aichi Prefecture, Hokuriku and Kinki. We established Ishinomaki branch at Watanoha Ishinomaki City in Miyagi Prefecture since March 2013 and Kumamoto Prefectural branch after July 2016. 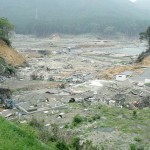 The tsunami devastated the entire coastline of Tohoku. It may be the hird-largest in the world, but it’s going to cost them billions just to start clearing up the damage. 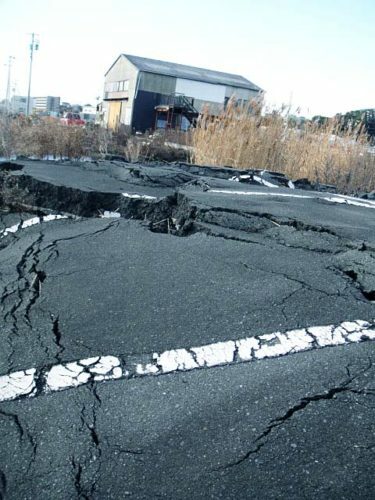 The tsunami, earthquake caused the most extensive damage to Ishinomaki. facilities, houses, and so on. Above all, in the current financial climate of Ishinomaki city, the rebuilding of temporal school classrooms and buildings won’t be easy. Especially around Ishinomaki city, due to the tsunami, this looks much worse than what we experienced in Kobe, 1995, that is, sixteen years ago. Compared with the quake of Kobe, Tsunami waves that hit were as high as 20 meters. Waves came far inland, into cities such as Ishinomaki, and as a result carried back out to sea buildings, cars, infant schools, elementary schools, junior and senior schools, homes, factories, and buildings connected to the fishing industry. 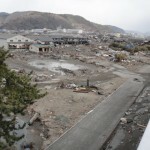 In Ishinomaki more than 3,280 people have been killed. Similarly, there were 6,434 fatalities in Kobe. This is a very big blow to any industry that relies on marine products, for example, oysters, soft seaweed and so on. 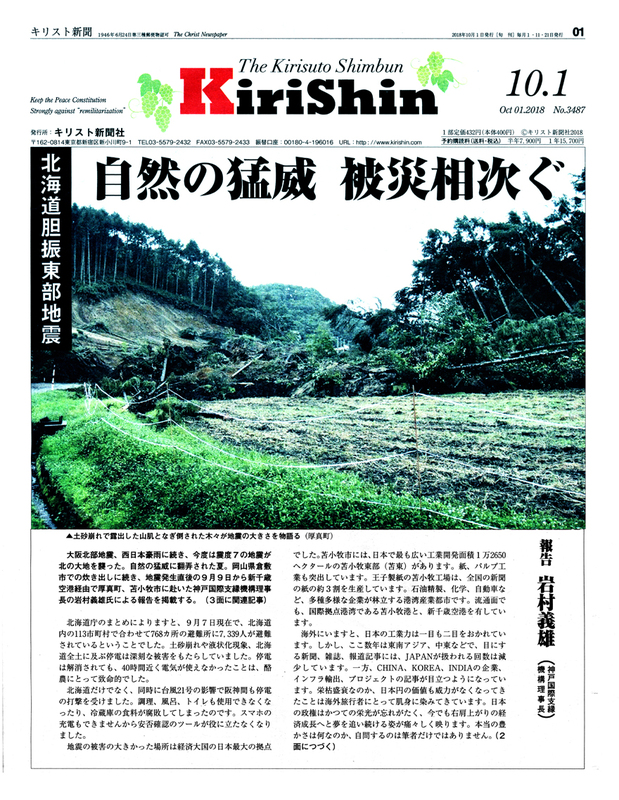 Above all, Oshika Peninsula is a wasteland, its streets, villages were swept away. Nothing left there. There is no normal rubbish here. You will find a large desert tract, through which wander a steady trickle of disoriented survivors. result, some feel so lonely without the companions who went through the dreadful, critical moment together. necessary to establish temporal school buildings. 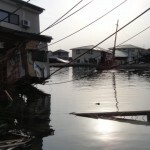 Moreover, to aid the recovery,we need several fishing boats for each village along the peninsula . Restoring the fishing industry is the most significant need for the reconstruction effort. Please contribute to the Educational Board, Public Works of Ishinomaki City through Kobe International Sustaining Organization.